Landing a data science job (or any job, really) can feel like a marathon. Between all the applications, recruiter screening calls, problem sets, and several rounds of video or in-person interviews, the application-to-offer runway is exhausting. Being able to effectively communicate with different personalities while providing the “correct answers” is important, but one soft skill might be just as for both getting and doing data science work: listening. This sounds elementary, but it’s essential — there’s a difference between listening and hearing, especially during a job interview. “Just being a good listener” can really help in a job interview, said Data Mining Cookbook author and OliviaGroup CEO Olivia Parr-Rud, who’s been on the other side of the interview table quite a few times when hiring data scientists. She also knows the importance of listening in data science after you’ve gotten the job, having worked with clients like Cisco, Wells Fargo, IBM, and Nationwide. “It’s amazing to me how many people don’t feel heard, and how just the act of listening can really connect you,” she says. Parr-Rud says that’s the kind of question that’ll help you make a real connection with an interviewer, and communicate that you’re not just trying to sell yourself, you’re actively engaging with the company’s problems (as the interviewer sees them) and wanting to solve them. There’s some hard science backing up Parr-Rud’s recommendation that interviewee’s restate interview questions. 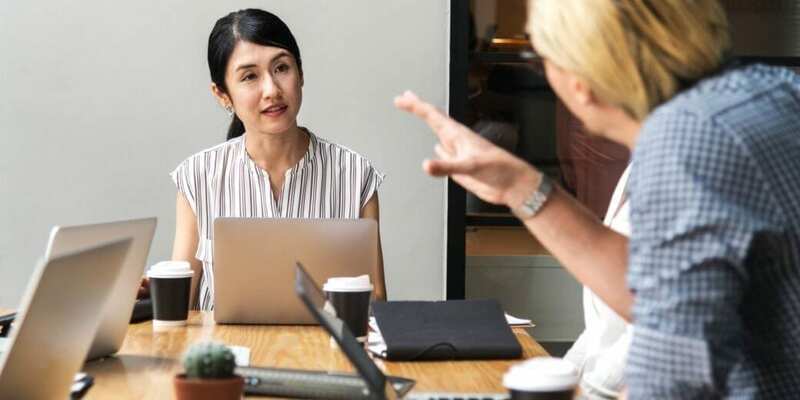 This act of listening and then restating the interviewer’s words can, according to several recent studies, leave a more positive impression on the interviewer (or anyone else you are speaking with). Researchers call this the Echo Effect, and there’s a surprising amount of evidence for it. Other studies suggest the same thing. In one, researchers found that waitresses got bigger tips when they repeated restaurant orders back to them verbatim (rather than simply writing them down or saying something like “OK!” or “Got it!”). In another, researchers found salespeople closed more sales when they responded to customer questions by repeating them before answering, and that customers who had their questions repeated back to them left with a better impression of both the salesperson and the store. A recent study found that people donated more often and gave more money during a currency transaction where they were prompted to give to charity if the cashier repeated what they had said, either verbatim or in paraphrase. While there aren’t any studies that have looked specifically at hiring in data science, there’s good reason to suspect that this effect is in play there, too. A job interview is, at least in part, a sales pitch for yourself, so if the “echo effect” leaves a positive impression in other sales contexts, it probably works in job interviews, too. That said, it’s best to think about this in Parr-Rud’s terms. Focus on repeating an interviewer’s questions because you’re engaged in genuinely listening to and understanding them. Simply parroting every question verbatim may raise red flags, particularly if you can’t follow your rephrasing of the question up with an answer that proves you really were listening.